This three-piece combo combines extreme protection for your underbelly, while helping you slide over obstacles with ease. 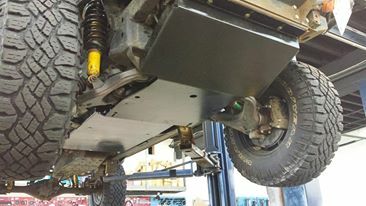 The lite steel is for our weight conscious off-roaders. NOTE: If you order this set in aluminum, the crossmember will be powder coated black. Crossmembers are made of steel.